The Jaeger Brigade, a centre of excellence in Arctic training and air defence, is an important part of the Army as a whole. The operations of the Jaeger Brigade are characterized by interactivity, innovation and reliability. The main task of the Jaeger Brigade is to build and maintain preparedness. The Jaeger Brigade has the ability and capabilities to be fully responsible for military defence tasks. The Jaeger Brigade also offers its special expertise, abilities and resources for the use of the rest of the society in a wide variety of ways and supports the authorities in constant mobilisation readiness in the region of Lapland. The Jaeger Brigade creates military defence capability by training conscripts and reservists for wartime tasks in the Lapland Jaeger Battalion in Sodankylä and the Rovaniemi Air Defence Battalion in Rovaniemi. The training environment that has been developed over a long period of time and the unique nature of Lapland create an excellent setting for the training of regional troops specialised in the challenging conditions of Northern Finland, national air defence troops and Border Guard troops. As an expert in Arctic training, the Jaeger Brigade is responsible for the research and development of training related to Arctic warfare in the Army. This means that in addition to its own personnel, the Jaeger Brigade trains conscripts and reservists to operate in the challenging Arctic conditions in Lapland and provides training and expert support in connection with Arctic training issues for the troops of the Army’s other brigade-level units and, upon request, to the troops of the other services. 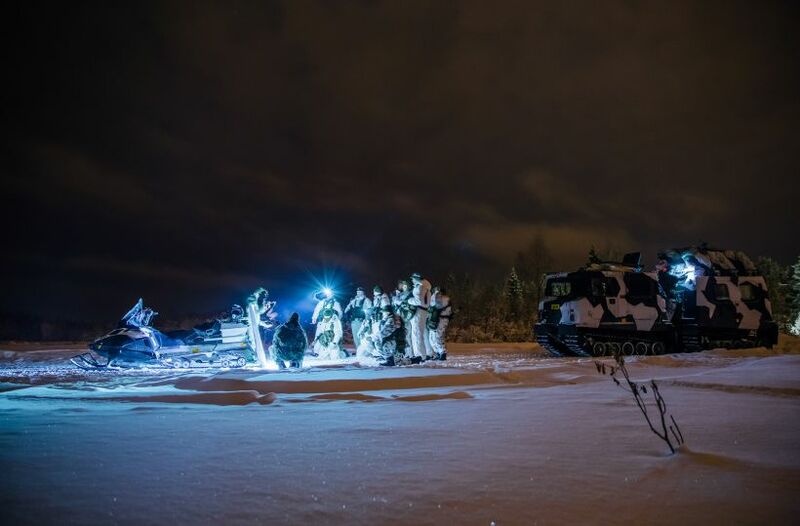 The Jaeger Brigade also offers international partners an opportunity to participate in the training events on Arctic training organised by the Jaeger Brigade, and it sends its own personnel to similar courses or exercises in other countries. The vision of the Jaeger Brigade is to be a both nationally and internationally respected and recognised centre of excellence in Arctic training in 2020.